I have worked within teacher education for in excess of twenty years. Whilst my principal focus is languages and literacy education my research and professional activities also encompass professional development for language educators, curriculum design, and program evaluation and change management. I am particularly interested in second language teaching and learning, and my work here has explored areas as diverse as program sustainability, interculturality, and second language learning for children with special needs. My research and teaching focuses on languages in Australian schools, and English as an additional or foreign language in Australia and also within the context of international education. I currently teach a range of units in applied languages education that have a focus on second or foreign languages and curriculum. I also teach in units associated with professional practice in the initial teacher education program. My research interests have encompassed many dimensions of languages education policy and practice. In recent years I have worked on a number of projects associated with the development of second language socialisation, language proficiency and academic discourse socialisation within intercultural contexts. I was one of the principal investigators in a large project funded by the Australian Office of Learning and Teaching. This was a collaborative project between five Australian universities and two Chinese universities. Through the project the academic discourse socialisation of Chinese postgraduate coursework students, particularly in the area of Media studies, was examined. As a result of the extensive research undertaken within the project, a significant body of resources and support materials have been developed. These are designed to aid Chinese postgraduate students as well as the academics who teach them. In addition to this project I worked for a number of years with the Association of Independent Schools of Western Australia to investigate and support a remote aboriginal community school as they integrated three languages into their curriculum. This school is looking to ensure that the students’ first language is developed, that they achieve competence in Standard Australian English and that they are also able to access and re-build the original language of their land. I am also currently engaged in research associated with community language programs, and with the development of an accreditation framework to support teachers and schools that operate in this significant sector. Murdoch University is the lead institution in this project. The aim of the project is to develop a research based model of best practice to maximise the academic success of Chinese postgraduate coursework students studying in Australia. The project will be conducted over a two year period and the model will be developed collaboratively in Australia and China. As a member of the project team I have responsibility for research, and for the development of materials to support academics in both China and Australia who work with Chinese postgraduate students either studying, or intending to study in the Australian university context. The Yiyili community and the Yiyili Community School are working collaboratively to secure positive language and literacy outcomes in Kriol, in Gooniyandi and in standard Australian English for children who live in this remote Kimberley community. I am working with the AISWA Languages consultant to support the school and provide professional development for staff (particularly for aboriginal education workers). In addition we are working with the community as it seeks to negotiate the roles of the different languages used in country. This project is seeking to develop an accreditation framework to support community language schools and their teachers. The project involves extensive community consultation and research to inform the design and development of the framework together with implementation and review processes. This is an OLT Innovation and Development grant. 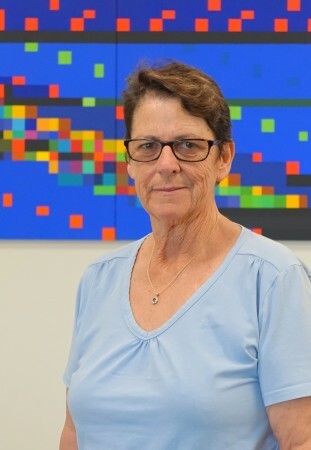 The Project Leader is Associate Professor Christine Daymon and I am a member of the Project Team. The project includes 5 universities in Australia and 2 in China, and is focused on maximising the academic success of Chinese postgraduate coursework students studying in Australia. The development of online language specific professional development modules for teachers of Indonesian and Japanese as part of a collaborative project between ACICIS and the University of Tasmania and their respective NALSSP grants. The development of the Indonesian Language Teacher Immersion program. As part of a NALSSP grant awarded to ACICIS. Supported by the Association of Independent Schools of Western Australia, this project involved the development of a number of case studies associated with leadership in Languages Education and power constructs in schools. This fellowship, funded by the Hyogo Prefecture, enabled the investigation of issues associated with the strengthening of Languages Education in Japan, and with developing an Intercultural approach to the learning and teaching of Languages. I have been invited to deliver keynote and invitational addresses at a range of National and State conferences in Australia. I have also delivered invitational addresses in both Japan and Indonesia. I have also conducted workshops and seminars in Singapore and in a number of universities in China including Communication University of China, Henan University, and Central University of Finance and Economics. I am a former president of the Modern Language Teachers’ Association of Western Australia. I am also a long standing member of the Westralian Indonesian Language Teachers’ Association. Over a period of many years I have served on a range of committees associated with the Curriculum Council of Western Australia and the School Curriculum and Standards Authority. The impact of teachers’ conceptual understanding of L2 literacy on ELT teaching practices in China. Goddard, D., Norris, L., Norris, N., (1998),Factors influencing the uptake of Modern Standard Chinese, Korean, Modern Greek & German at Primary & Secondary Level in Australian Schools,,Education Department of Western Australia and Commonwealth Department of Education, Training and Youth Affairs. Norris, L., (2010),The Current State and Nature of Languages Teacher Education,In: Languages in Australian Eduation: Problems, Prospects and Future Directions, Cambridge Scholars Publishing, pages 71 to 85. Norris, L., Tsedendamba, N., (2014), Applying agar's concept of 'languaculture' to explain Asian students' experiences in the Australian tertiary context,	English Language Teaching, 8, 1, pages 205 - 217. Haigh, Y., Murcia, K., Norris, L., (2014), Citizenship, civic education and politics: the education policy context for young Australian citizens,	Journal of Education Policy, 29, 5, pages 598 - 616. Norris, L., Coutas, P., (2014), Cinderella's coach or just another pumpkin? information communication technologies and the continuing marginalisation of languages in Australian schools,	Australian Review of Applied Linguistics, 37, 1, pages 43 - 61. Murcia, K., Haigh, Y., Norris, L., (2010), Learning from community service: Engaging Australia Tanzania Young Ambassadors with sustainability,	Issues in Educational Research (Online), 20, 3, pages 276 - 293. Australian Government Office for Learning and Teaching. (2015). Collaborating for Success: Enhancing the transition of Chinese Communication / Media students into Australian Postgraduate Education. Daymon, C. and Norris, L. authors of final report. National Asian Languages and Studies in Australian Schools (NALSAS) Taskforce, (2001). A Literature search and analysis of the benefits of learning a Language Other Than English to literacy development in English. Canberra: Commonwealth Department of Education, Training and Youth Affairs. Project conducted and reported by Simpson Norris International with the Centre for Curriculum and Professional Development, Murdoch University. National Asian Languages and Studies in Australian Schools (NALSAS) Taskforce, (2001). Investigation on the impact of in-country study for teachers on the uptake of studies of Asia. Canberra: Commonwealth Department of Education, Training and Youth Affairs. Project conducted and reported by Simpson Norris International with the Centre for Curriculum and Professional Development, Murdoch University. National Asian Languages and Studies in Australian Schools (NALSAS) Taskforce, (2000). Using the LOTE Planning Framework. Canberra: Commonwealth Department of Education, Training and Youth Affairs. Project conducted and reported by Simpson Norris International with the Centre for Curriculum and Professional Development, Murdoch University. National Asian Languages and Studies in Australian Schools (NALSAS) Taskforce, (1999). Pathways for Australian School Students to Achieve High Levels of Proficiency in Asian Languages. A report prepared for the NALSAS Taskforce by The Centre for Curriculum and Professional Development, Murdoch University and Simpson Norris International. The Education Department of Western Australia. (1999). A cost benefit analysis of Italian programs in Western Australian Government Primary Schools: A comparison of programs provided by the Italo-Australia Cultural and Welfare Centre and programs provided by the Education Department of Western Australia. A report prepared by Simpson Norris Pty Ltd.
National Asian Languages and Studies in Australian Schools (NALSAS) Taskforce, (1998). Factors Impacting the Uptake of Modern Standard Chinese, Korean, Modern Greek and German at Primary & Secondary Level in Australian Schools. A report prepared for the Education Department of Western Australia and Commonwealth Department of Education, Training and Youth Affairs.